Training to be a driving instructor is very easy if you are with the correct school. Let’s face it, driving instructors come from many different and diverse backgrounds. Dave and DTE-Elite has trained people from builders and labourers, to publicans and graduates. 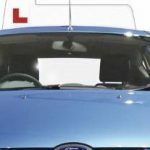 To train to be a Driving Instructor is about common sense and showing what experience you have developed since passing your own driving test. 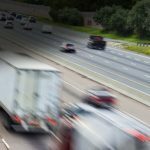 Many people worry and think things like “What about all the bad habits I have picked up?” or “I wouldn’t be able to pass my driving test again.” Most people would be able to with just a few pointers. You did it once you can do it again. To train to be a driving instructor involves three tests. This is not so much an advanced test but a chance to show the examiner the skills and experience you have gained. When you train to be a driving instructor you would normally expect about 10-12 hours of refresher training for this where the trainer just gives you the pointers and shows you what is required. The trainer will advise on any ‘bad habits’ and explain some of the more modern ways of thinking around driving today. This is where the fun begins in your training. During Part 3 of your training to be a driving instructor, your trainer will initially play the role of your pupil. They will guide with the techniques required to transfer all the skills from Part 2 and the knowledge from Part 1. You will teach your trainer as if they were a pupil using different styles. A variety of different scenarios will be used before you begin to teach real learners. You will also get the opportunity to observe real driving lessons and to study small aspects of each driving lesson. 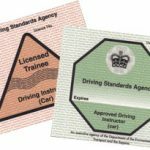 When you have completed the basic requirement, you can continue to teach pupils for money on a trainee licence. Your trainer will monitor some of these driving lessons as you train to be a driving instructor. They will sit very quietly in the back and after the lesson has finished and the pupil gone home will give you advice as to how you can improve if needed. 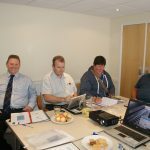 When you have completed a minimum of 40 hours of Part 3 training you can use what is known as a trainee licence. This licence allows you to teach learners for money or monies worth. This means that before you sit your final exam you can start to earn while you complete your training. This gives you a chance to fine tune your teaching and you will continue to get the support of your trainer during this process. 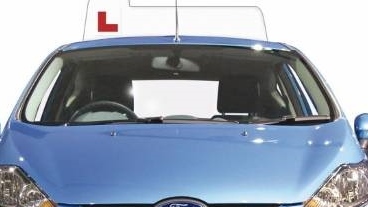 When you are ready for your Part 3 test, the examiner will sit in the back of one of your driving lessons with a learner and will give you advice after as to your teaching. All in all, the training to be a driving instructor is fun and the materials and training you will receive will be great. Everything is overseen by Driving School Dave, so you know that training and support does not stop when you have passed, and the support network continues if you work with us. How long does it take to train to be a driving instructor? First let me start by reminding you, we turn pupils away every day, so we need you qualified soon. But we won’t rush you. If you want to go at a slower pace that’s also fine. Many people are keen to be trained as a driving instructor in a short time span. There are companies out there who say ‘train in six days’ they don’t say what are the six day’s though. What they say is day one training, which is all the part 2 training on one day then when you pass part 2 test, day 2,3,4,5 and 6. That’s all the part three training on those days. While we can do that, we would suggest you spread the training over the period leading up to your trainee licence. So, if you want to go on your trainee licence in 4 weeks, spread the training over that time. All schools can only book each of the tests to be a driving instructor when the DVSA are available. On average I would aim for around 3 months to train to be a driving instructor.